No flowers on your pear tree is a very disappointing situation, as there will also be no fruit. This is a guide about pear trees not flowering. We planted two fruitless pear trees last fall. They have not started budding yet this spring. They are still alive as the limbs are still green. Is the not budding from it being too cold this spring and they haven't had a chance to bud? I would like to know if there is anything I can do to help them along or if they will most likely be a loss. Thank you. A lack of flowers is a common complaint among growers of ornamental pears (as well as fruit-bearing types). There are a number of reasons fruitless pear trees fail to flower. Any one or a combination of these factors could be the problem. Temperatures during the winter or spring fluctuate to the extent that the flower buds lose their ability to withstand the cold. Sudden drops in temperature can kill flower buds in a hurry. Your tree is getting too much fertilizer. Too much nitrogen encourages vegetative growth, but not flowering. Insufficient light exists within the canopy of the tree. You are growing the wrong type of cultivars for your region. Even though they may grow and survive your winters, the wrong cultivars may fail to produce flowers. Your soil pH is too high. Pears can be temperamental when it comes to soil pH. They generally like things slightly acidic (at a pH 7 or just below). North Dakota tends to have soil that is quite alkaline, so you may want to consider getting yours tested. Your trees are still settling into their new surroundings. 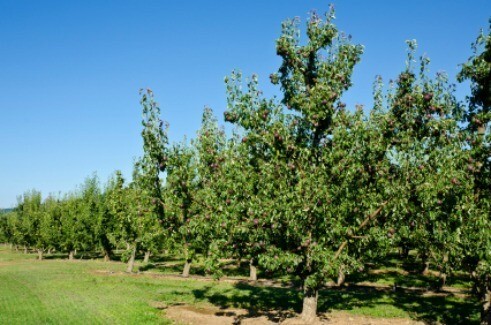 It isn't uncommon for trees to get off to a slow start during the first season after being transplanted. As long as your trees are alive and the limbs are still green, don't give up on them just yet. We have 2 pear trees that we haven't really had much success with in our yard. We pruned them back this year to open them up in hopes that more fruit would be produced, but now one of them is refusing to flower or leaf out. I've checked for pests and do not see any, we pruned when the tree was still dormant (we pruned the weekend after the last snowfall in May). We use drip irrigation around almost all our fruit trees so lack of moisture shouldn't be an issue. Any other ideas or is my tree in shock? My best guess is that it was planted in 2000 as it is about 12' tall. Thanks for your help. http://www.gard  it/peartrees.htm good luck. Search for "how to grow pear trees". Good luck.